Cheaper services, discounts and perks. Three UK has today unveiled a new offering which it claims will be 'one of the cheapest’ in the market, for entrepreneurs and small businesses. Named “Three Means Business”, the offering was created in partnership with WeWork, Wix, MOO and Freshbooks. The telecom company says it’s not all about being the cheapest, there are also discounts and free subscriptions to ‘useful services’. 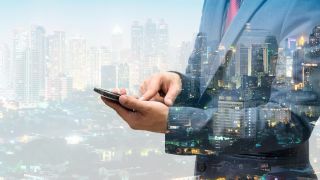 Businesses of all sizes can gain access to an unlimited data bundle, which Three UK finds to be essential in today’s business where there’s a “growing reliance on mobile”. The partners that were named for the offering have each contributed to it in their own unique way. Wix offers six months’ free subscription to an “unlimited” website and logo creator package (keep in mind that the suspicious quotes came with the original press release). FreshBooks will give six months’ free subscription to an accountancy package, while WeWork will offer a free digital membership and two credits a month for its workspace, also for a period of six months. Finally MOO will give a discount of 25 per cent on all of its products, including business cards and other branded stationery. On top of these offerings, Three UK mentions free roaming in more than 70 destinations, free upgrades with easyJet, as well as the Go Binge offer (unlimited use of Netflix, Snapchat, Soundcloud and Apple Music, on tariffs with data allowances of 10GB and above). You can find more information about the new offering on this link.